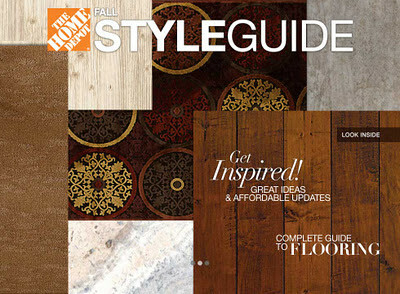 ﻿Whether you just moved into your home or looking to sell or just looking to update your current living space; the kitchen is still the most common used room in the house so if you need to update any room and have a small budget, check out this Fall's Home Depot Style Guide with all the tips you will need to DIY in the Kitchen and increase your home's value instantly! Exchange a dated faucet for a water-conserving fixture in the season’s most desirable vibrant chrome, versatile brushed nickel or rich bronze finishes. SimpleMat is a fast, easy and tidy way to install a tile backsplash. Just press ceramic, porcelain or stone tiles into SimpleMat’s adhesive surface for an instant bond and then grout. 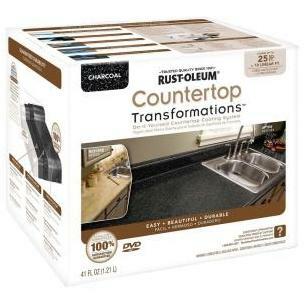 The Home Depot offers many affordable options for upcycling your laminate countertop, including adding the look of natural stone with Rust-Oleum’s Countertop Transformations kit. Trading old knobs and pulls for a stylish finish that matches faucets or appliances pays off with a polished new look. For an eco-friendly décor update, add a potted plant to your kitchen. These work lights improve kitchen function while highlighting design elements such as a new countertop or backsplash. There’s no better bang for your makeover buck. Best part: DIY in one day. Most obvious is paint and our new favorite is as mentioned above the easy Countertop updating!